Fazlur Rahman Khan (1929-1982) was a structural engineer of tall buildings who worked in Skidmore Owings and Merrill (SOM) in Chicago. From 1965 to 1982, Khan significantly advanced the engineering design of urban buildings. His designs were disciplined by efficiency and economy, yet he also sought to achieve elegance. For Khan, elegance was not ornamentation, but an expression of structure, which in turn reveals the intimate relationship between forces and form. 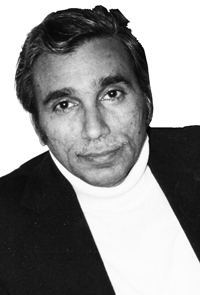 At SOM, Khan worked closely with architect Bruce Graham, who was sympathetic to Khan’s principle that “…good architecture must also be good engineering and particularly good structure.” Khan’s design ideas often came from his teaching and advising students at the Illinois Institute of Technology, which he did in collaboration with Myron Goldsmith. Goldsmith was an architect at SOM as well as a structural engineer. This exhibition, "Fazlur Khan: Structural Artist of Urban Building Forms," is currently located at the Friend Center Library, Princeton University, Princeton, NJ, and it was conceived in the spirit of two preceding projects, The Art of Structural Design: A Swiss Legacy and Félix Candela: Engineer, Builder, Structual Artist. The models presented in this exhibition were made by students in a pioneering new class taught in the Fall 2010: CEE463, A Social and Multi-dimensional Exploration of Structures. By focusing on Khan’s designs, the students made engineering analyses of his designs, and examined the social context in which he worked. Through site visits to these structures, the students gained a better sense of their scale and context as well as their influence on the environmental impacts (i.e., durability and other sustainability measures). As they made their models, students were encouraged to consider the constructability aspects of design, and begin to comprehend the intimate connection between design and construction. We are grateful to many others who made this course and exhibition possible: David Billington, Professor Emeritus of the Department of Civil and Environmental Engineering (CEE), provided invaluable consulting advice; Joe Vocaturo, CEE lab supervisor, and Dan Reynolds, CEE Doctoral Candidate, assisted the students with the models; Morgan Neal was a valuable teaching assistant; Razvan Ghilic-Micu, Master of Architecture student, provided creative contributions to the exhibition design; and Charles Evans, undergraduate Architecture student, worked patiently on the website with us.. The generous support of Fazlur Khan’s daughter, Yasmin Sabina Khan, was crucial not only for our morale, but also for lending us some of her father’s personal items for this exhibition. We appreciate the enthusiasm and space provided by the Engineering Librarian, Adriana Popescu, who was essential for making this exhibition a reality. And finally, we are thankful to Princeton University’s 250th Anniversary Fund for Innovation in Undergraduate Education, the School of Engineering and Applied Science, and the CEE Department for recognizing the value of such a course and exhibition as part of the structural engineering education and thus providing the necessary financial support.